The Royal Burgess Golfing Society in Edinburgh, Scotland is the oldest golfing society in the world, founded in 1735, but Society Professional Steven Brian is embracing the latest information in putting to help his club members and other golfers have more success on the green. 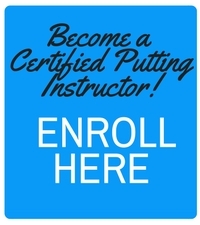 Steven is a Certified Putting Instructor (CPI), a certification offered by U.S. based Frankly Golf and the PGA with the goal of helping golfers putt better, adding an extra dimension to the services that the golf professional can deliver to their membership. “Putting was always an area I was interested in and I wanted to continue learning about it as it is about 40% of the score,” said Steven. After taking the Certified Putting Instructor Course online and attending the workshop, Steven put what he had learned into practice. In working with his students, Steven sees how various elements of the game fit together. Frank Thomas, founder of Frankly Golf, longtime USGA Technical Director and inventor of the graphite shaft recently visited Steven at The Royal Burgess Golfing Society. 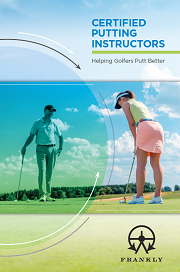 And for Steven, the best part of becoming a Certified Putting Instructor?